Hello loves! I know its been far too long since I posted. I missed a week with the stress of school and work and then I decided I would change my posting times to Monday evenings instead of Friday afternoons. I hope this works for you all & you find it a better time to take a minute and read my posts! But this week we are back on track and have tons of fun new products headed your way with my uncensored reviews. I feel like I’ve purchased basically every new summer product on the market (check out my instagram for a sneak peek) in hopes of showing you all the hottest new sh!t and whether it really deserves to be considered that. This week we take a look at one of the drugstores most famous foundation lines. True match is one of the most popular lines of foundation and many people think of it as their absolute holy grail. My roommate uses the regular and always looks flawless. I love the lumi because I have super dry skin so when I saw there was a cushion version, I jumped on it faster than I am proud to admit. Ive been trying out for about a month now and think I have finally gathered my thoughts for a review. One of the best things about the true match line is the wide range of colors. They are categorized by warm, neutral, or cool undertones. The one thing that bums me out is the lumi cushion has less of a diverse color selection than the original foundation. 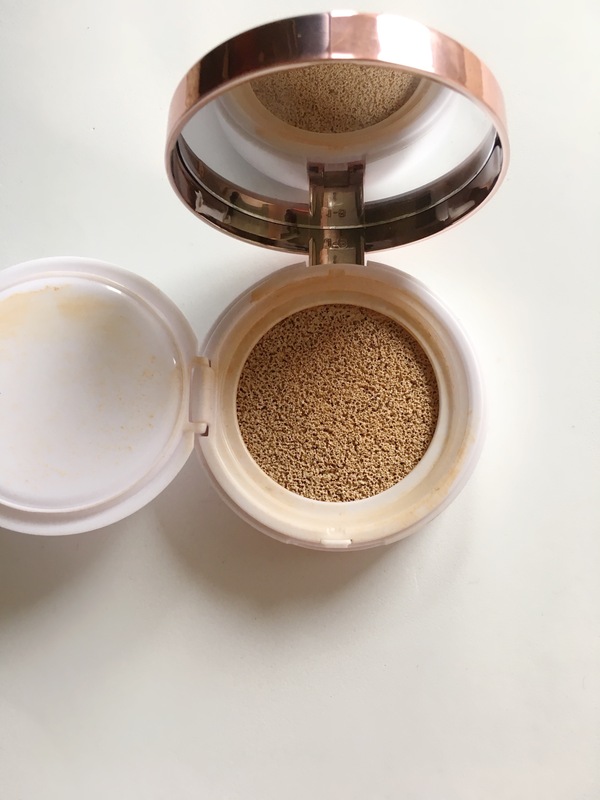 Cushion foundations are intended to release product in a very controlled amount while giving a light glowy coverage to the skin. They are originally a Korean beauty invention and are like the cousin of BB and CC creams. I tested this one out in the shade N2 and found it was a perfect shade once it settled on my skin which is the entire point of the true match line (& I think Im buying in). The packaging is nice and I really enjoy that there is a mirror. I never used the sponge because I just find the ones they give to be difficult to work with & personally I think if you like sponges you are much better off buying a 50 pack of beauty sponges at target. I found my favorite way to apply it was with a dense brush. I would press my brush on the cushion and dot the product on my forehead, cheeks, and chin. Once blended in, the first layer was a light coverage and very dewy. It would be perfect for someone who wears little makeup and just wants to even out their skin. Whenever I didn’t feel like putting a full face on to class, I could just quickly apply this and it looked like my skin just even and luminous. I think it’ll be me go-to for summer. Since I often do where a full face of makeup, I would apply a second layer with the exact same technique as the first to build up the coverage. The best part about building it up was that it stayed looking like skin and looked really glowy. 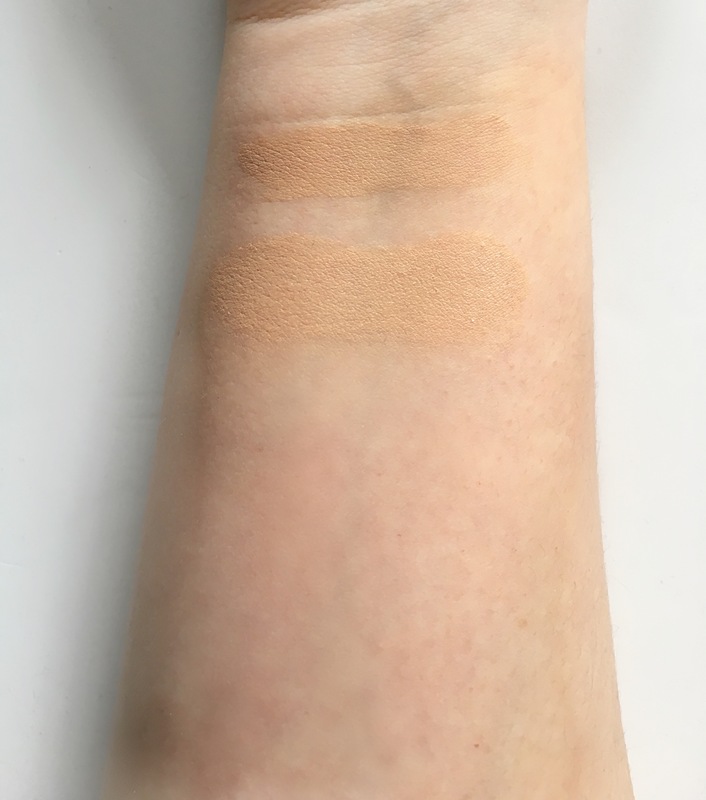 (in the swatches, the first is a single layer and the second is two layers) The most you can get out of this foundation is a medium coverage, so if you love a super full coverage this isn’t for you. Also if you have super oily skin you probably wouldn’t like this foundation because of the glow and it wouldn’t last on your skin. Since it is fairly light coverage and similar to a CC cream, it doesn’t last all day but as it fades it doesn’t look patchy or cakey. My final thoughts are that its a perfect light foundation. I think tons of people would love it for summer when makeup tends to be a lot lighter and suitable for the heat. It is best suited for people with normal to dry skin or anyone who likes a healthy glow!